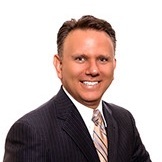 Michael J. Howley is a CERTIFIED FINANCIAL PLANNER™ and Relationship Manager at Meyer Capital Group. His two main responsibilities include establishing new client relationships and supporting existing client objectives. Michael works closely with both the client service team and the portfolio management team to serve the MCG client base and ensure their happiness. He also sits on the Investment Committee and helps to advance the firm’s marketing objectives. As a seasoned financial advisor with over 22 years of experience, Michael has served as a Senior Investment Advisor, Regional AdvisorSource Coordinator and Assistant Branch Manager with Charles Schwab & Company. He worked on the trading desk at Brown & Company and started his financial services career with Smith Barney specializing in the Initial Public Offering (IPO) market. Michael holds an Associates of Science in Management from Pierce College, a Bachelor of Science in Business Administration from Rutgers University, and completed the education requirements with Fairleigh Dickinson University for their Certified Financial Planners program. He has obtained the CERTIFIED FINANCIAL PLANNER™ certification. When he isn’t helping a client plan for their future or advancing the efforts of MCG, Michael can usually be found outdoors with his wife and three children, riding his motorcycle or finding a way to support the youth in the community.